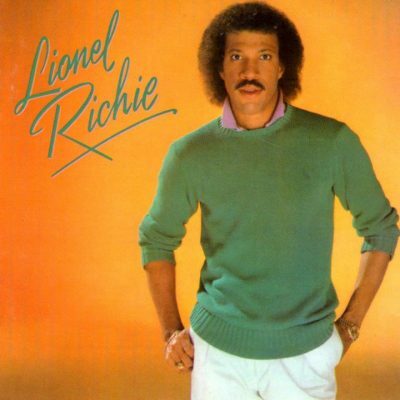 Why I Loved It: There’s a lot I loved about Lionel Richie in the 80’s and perhaps my favorite was his very conscious decision to focus exclusively on tender ballads and shimmery mid-tempo pop. Of course, ballads became a staple of Richie’s vibe and that was apparent right away on his first solo album here, particularly with “Truly” and “My Love.’ Both geared the completion of his transition from the soulful group, The Commodores to full-fledged mainstream pop, as each of his first two hits were unrepentant slow-dance jams. His third and final hit from this debut self-titled album, “You Are,” is a bubbly, delightful pop track that til this day is in my opinion one of his most underrated singles. “You Mean More to Me”, “Just Put Some Love in Your Heart” and “Wandering Stranger” are three songs many haven’t heard of that are worth a listen. Richie’s 1986 album “Dancing on the Ceiling” previously appeared on this countdown at No. 82 and here’s a spoiler alert—there’s still one more to come. Commercial Success: Richie was still with the Commodores when this album was released, his first solo studio effort. He’d leave shortly thereafter. The album would rise up to number-three on the Billboard Top 200 and sell more than four million copies in the United States. “Truly” was his first single and the album’s biggest hit, hitting number-one on the Billboard Hot 100 while spending nearly a month atop the Adult Contemporary chart. His follow up, “You Are” fared very well also, peaking at four on the Billboard Hot 100 and reaching number-one on the Adult Contemporary charts. “My Love” became his third top five single on the album, reaching number-five on the Billboard Hot 100. Amazingly this would end up only being Richie’s third-most successful album of the decade. Fun Facts: From Songfacts.com: “In the early ’80s Lionel Richie began to achieve success outside The Commodores. He penned the song “Lady” for country singer Kenny Rogers, a soulful ballad that topped the charts for six weeks. Then he teamed up with Diana Ross on the theme song for the movie Endless Love. “Endless Love” became the biggest hit of Ross’ career, holding the #1 spot on the Billboard Hot 100 for nine weeks in the fall of 1981 and earning Lionel Richie an Academy Award nomination for Best Original Song. These successes would inspire Richie to break from The Commodores completely in 1982 to pursue a solo career.